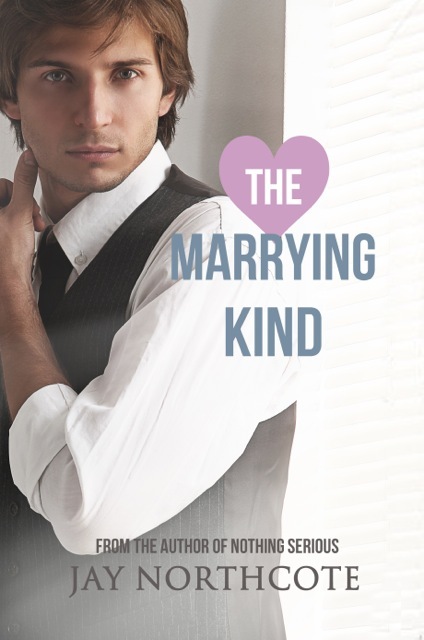 BOOK BLAST: The Marrying Kind by Jay Northcote | Because two men are better than one! Two years on from their first date, Owen and Nathan are living together and life is good—except they’re not on the same page about marriage. A traditionalist at heart, Nathan wants it all: the wedding, the vows, and a pair of matching rings. Owen, on the other hand, believes marriage is old-fashioned and unnecessary. They don’t need a wedding to prove their commitment to each other. Love should be enough on its own. All it takes is one moment of weakness on a night out to force the issue. 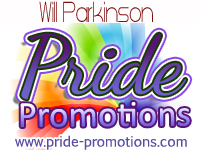 Owen finds himself engaged after a half-drunk proposal, and Nathan’s enthusiasm sweeps him along. But as the big day approaches, the mounting tension finally combusts. If he’s going to save their relationship, Owen will need to decide once and for all if he’s truly the marrying kind. Nathan glanced surreptitiously at Owen sitting beside him as Jack and Simon spoke their vows. Jack’s voice was quiet but sure, and Simon’s rang out clearly over the assembled crowd. Owen’s gaze was fixed on the couple, and his eyes were suspiciously bright. As Nathan watched, Owen cleared his throat and wiped what Nathan assumed was a tear out of the corner of his eye. Nathan suppressed a smile and turned his attention back to the groom and groom. So much for Owen’s protests that he didn’t see the point in weddings and that they were outdated, pointless events that were stupid even for straight couples unless they were religious. Even if he didn’t believe in the principle of marriage—gay or otherwise—it was nice to see he wasn’t totally immune to the emotion of the occasion. Nathan was going to enjoy taking the piss out of Owen later. But in the meantime, he reached for Owen’s hand and squeezed. Owen squeezed back. Nathan’s eyes were moist too by the time they’d finished. The part where the celebrant said “I now pronounce you husband and husband” really set him off. Simon looked so utterly radiant after he and Jack finally stopped kissing and turned to face the wedding guests, hand in hand. Jack was flushed and awkward compared to Simon. He obviously wasn’t happy being the centre of attention, unlike his new husband, but his smile was genuine and the joy rolled off both of them, touching everyone in the room. Nathan sighed. Owen’s hand was still in his. Their fingers were tangled together casually—just like their lives. They’d been in a relationship for over two years now, living together for half of that, and Nathan had never been happier. But looking at Simon and Jack, he wanted more. He wanted that. But he was afraid to ask Owen, because he was pretty sure what his answer would be, and it wouldn’t be the one Nathan hoped for. Congrats on your newest release!! Looking forward to reading The Dating Game! !